Netgear's CES 2017 announcements include a trio of updates to their ReadyNAS network-attached storage lineup. Back in September 2016, Netgear announced one of the first NAS lineups based on Intel's Broadwell DE (Xeon D / Pentium D) platform. While the ReadyNAS 520 series used the dual-core Intel Pentium D-1508 SoC, the ReadyNAS 620 series used the quad-core Xeon D-1521 SoC. At the time of introduction, only 6-bay models were available in both the series. 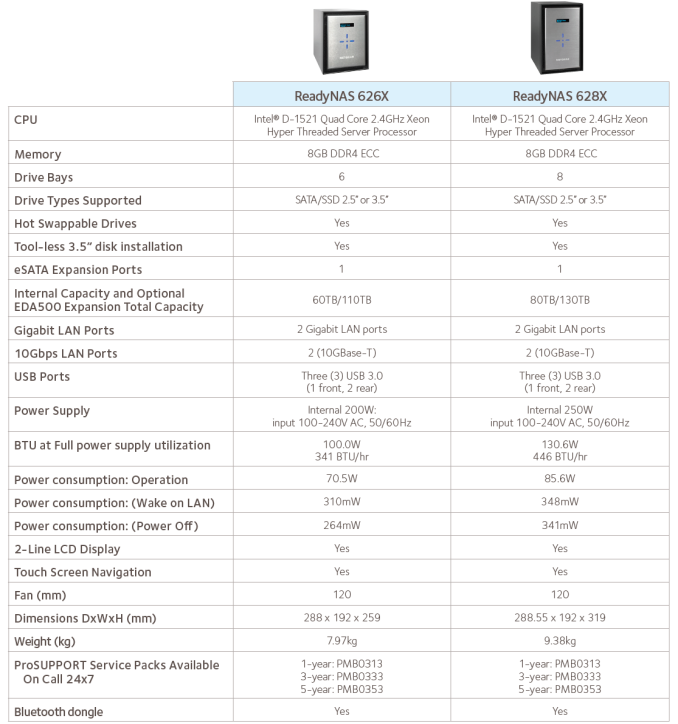 As part of the CES announcements, the ReadyNAS 520 series is expanding with 4- and 8-bay models. 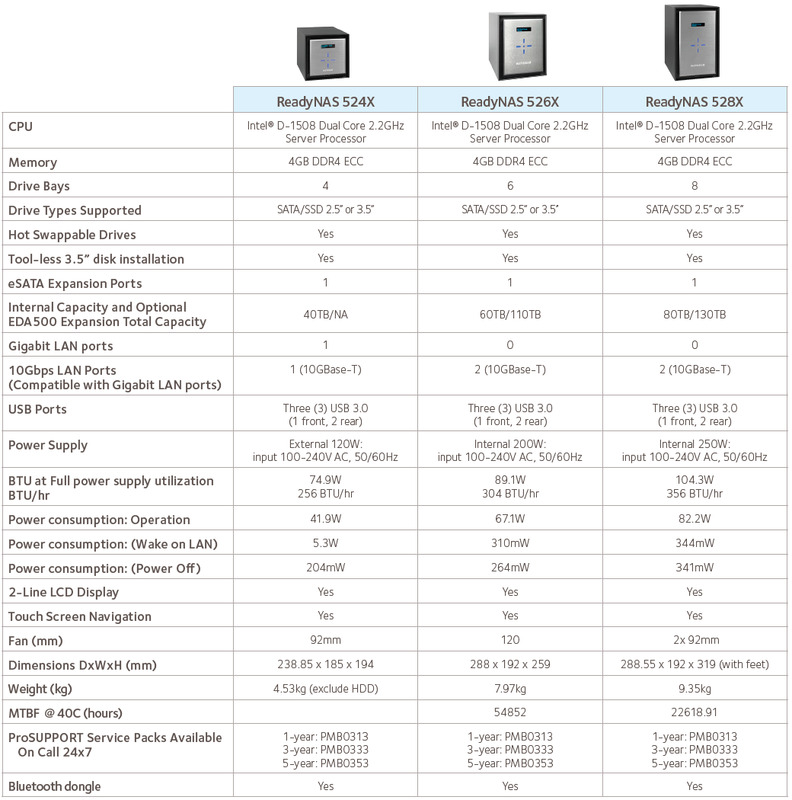 The ReadyNAS 620 series is getting a 8-bay model in addition to the existing 6-bay model. We will come back to the ReadyNAS 520 and 620 series later on in this piece. 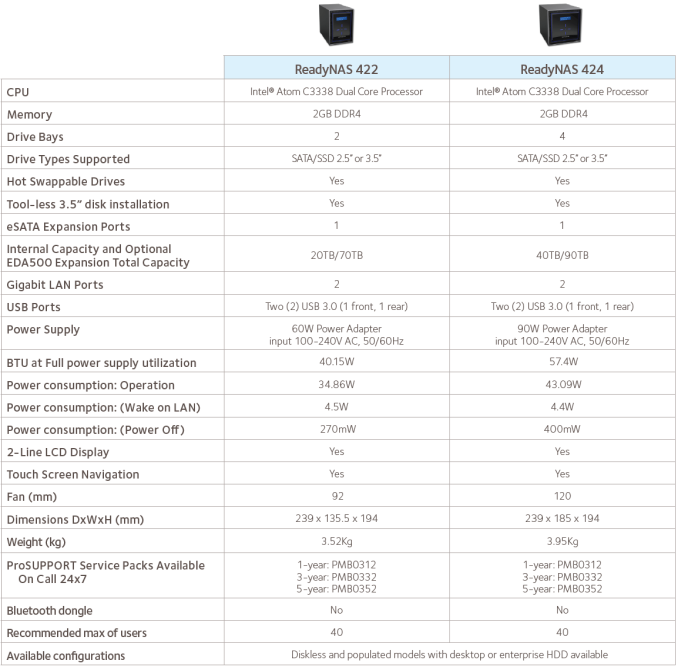 The major new product announcement in the ReadyNAS lineup is the ReadyNAS 420 series, which comes in 2-bay (RN 422) and 4-bay (RN 424) variants. Both are based on the dual-core Intel Atom C3338 SoC. Based on the Goldmont Atom micro-architecture, Denverton shows that Intel is committed to a cost-effective server solution based on the Intel Atom platform, while retaining Xeon D and Pentium D for solutions offering better performance at a premium. Note that the ReadyNAS 420 series comes with only Gigabit LAN ports, while the 520 and 620 series are equipped with 10GBASE-T ports. The specifications of the new members in the 520 and 620 series are provided below. An interesting aspect is the Bluetooth dongle, which allows IT administrators to quickly check up on the status of the NAS unit from a mobile device. 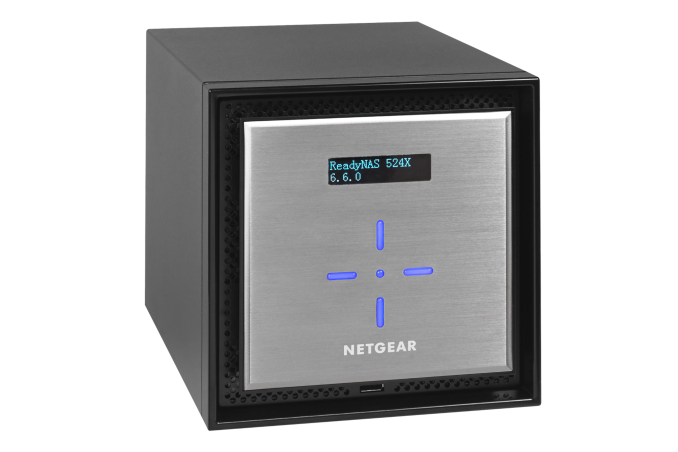 Similar to the current ReadyNAS units, the new ones also deliver the advantages resulting from Netgear's adaptation of the btrfs file system along with a mdadm RAID management layer. Various backup and remote access strategies are supported with the ReadyDR and ReadyCLOUD packages. Despite the major focus on gearing up ReadyNAS solutions towards business use-cases, there is also support for prosumers interested in multimedia streaming - the ReadyNAS 620 series supports streaming and real-time transcoding of multiple 4K streams, while the 520 series supports streaming and real-time transcoding for multiple 1080p or a single 4K stream (based on the CPU capabilities). The current pricing of the various ReadyNAS models are specificed in the table below. The RN 528X and RN 628X are available immediately, while the other new models (RN 524X, RN 422 and RN 424) are slated to become available later this quarter. All models are backed up by a 5-year warranty, with multiple support options available (including next business-day parts replacement) - something attractive to IT administrators. In summary, Netgear has taken the lead in introducing commercial off-the-shelf (COTS) NAS units based on the latest hardware platforms from Intel. The OS features and allied packages are very attractive to business users, despite other NAS vendors providing a OS with more features for prosumers. Did you even read the spec tables? 500 and 600 series have ECC RAM. 400 series doesn't. If you are that worried about ECC, and need a COTS NAS, choose one of the former. Of course, if you are building custom with FreeNAS, you can - these types of COTS units are meant for consumers and businesses that want something working right out of the box with minimal work, and where support is just a phone call away.